The ‘golden voice of Africa’ has just released his final album. And though he is visibly tired, he is still in love with his guitar. 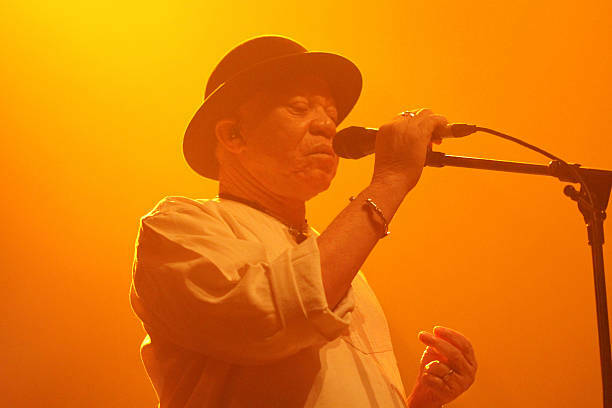 Salif Keita, Mali’s most famous musical son, is going home. “I’m returning to the land,” he says. “I am a farmer’s son. Now, I will go back to the country and cultivate.” Cultivate what? Asking the interviewer. Keita, he loses his eyes and falls silent before responding. When he does speak, he responded with well-willing energy and stilted answers. I am in a modest hotel suite in the north of Paris with one of the greatest musical talents the African continent has ever produced. Keita, known as the “golden voice of Africa”, has enjoyed a career spanning more than half a century. Now nearly 70 years old, he is known not just for his extraordinarily and powerful voice, but for overcoming the social stigmatism heralded by a condition known as albinism, he says, “ I am white of skin and black of blood”. Going “back to my country” means returning to the village of Djoliba, 23 miles south of the Malian capital Bamako, which takes its name from the local Mandingue language for the river Niger on whose banks it sits. Keita grew up there, during the last years of French colonial rule. Mali became independent in 1960 – him as one of 10 children in a family directly descended from the warrior king Sundiata Keita, the ”Lion of the Mali Empire” in 13th-century. 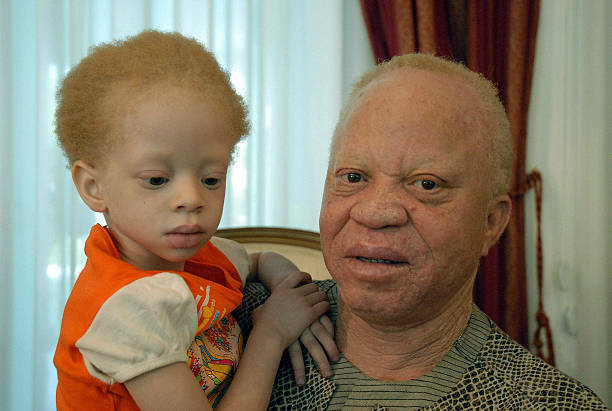 His father was shocked but not entirely surprised when he was born with albinism, a condition caused by the absence of melanin pigmentation in the skin. There had been others with the condition on his mother’s side of the family. “It is a problem in places where cousins marry, a problem of culture,” he explains. As a child, Keita’s family kept him out of the fierce sun, but they were unable to protect him once he started attending school. “There were 500 students and I was the only white. Of course, I realized I was different and they didn’t let me forget about it. I was bullied. Physically. Psychologically. It was not easy. I learned quickly how to defend myself.” He adds: “I was a good student. My dream was to be a teacher, but in those days you should rely on the government to employ you or finding a post for you. After I finished my studies, the doctor [at the training school] told me I couldn’t be a teacher because I would scare the children. They also said it was because of my eyes … but I had special glasses and could see perfectly well. “I didn’t want to be a musician, because I am from a family of nobles. 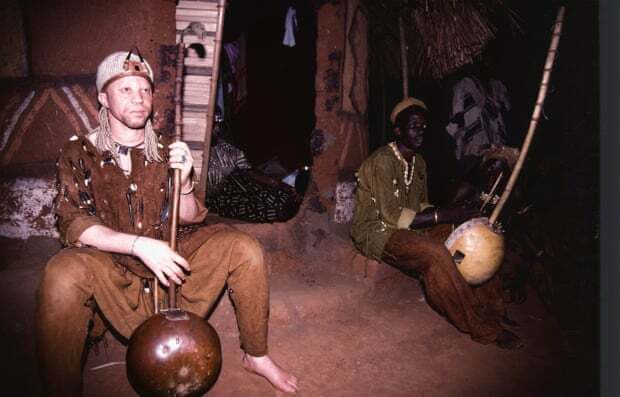 In Mali, nobles don’t play music – that’s for the griots (commoners),” he said. “But I had no choice. I could be a musician or I could be a delinquent, a criminal, a thief, a bandit.” I am curious as to why these were the only options. “I am an albino. What else could I do? There was nothing else. My family didn’t want me to be a musician. I had no choice, I could be a musician or I could be a delinquent, a criminal, a thief, a bandit. Maurice Ascani In the 1980s, Keita moved to Paris where he released his first album Soro, and in 1988 he was invited to join the anti-apartheid Nelson Mandela 70th birthday tribute at Wembley stadium, an event relayed to 67 countries with an audience of 600 million. London does not appear to have made a huge impression on the singer, then or since. “It’s always raining.” As he traveled, he picked up different musical influences including Cuban salsa and European bands like Led Zeppelin and Pink Floyd, taking “bits and pieces here and there” and creating a cocktail of Afro-pop sound, which is being credited as the founding. “But I never wanted to go far from my traditions. There is a melody, a heart, to Malian music that’s almost oriental,” he says. He becomes more animated when asked whether he will use his retirement to become more involved in politics. Mali, one of the world’s poorest nations, it has been in political turmoil ever since Tuareg rebels and loosely allied Islamists took over its northern part in 2012 and sparked the overthrow of the president. French forces intervened to push them back the following year but Islamists have since regained a foothold in the north and centre, exploiting ethnic rivalries to recruit new members. “It’s hard to be a good person when you are corrupt, and our politicians are always corrupt,” Keita says. “Mali is the most corrupt country in the world after Cameroon. The closest desire to Keita’s heart is an ongoing campaign to raise awareness about albinism and help sufferers. Across the continent, folklore, and the mixture of superstitions that put the sufferers at risk. Victims are beaten to death and their bodies dismembered for body parts credited with magical powers (Muti). Last November, Keita organized a benefit concert to raise awareness of the problem after a five-year-old girl with albinism, Ramata Diarra, was ritually killed and beheaded in the town of Fama, 80 miles west of Bamako. “Never again,” he said at the event. “I have the strong hope that people will understand that we are born in the same way and we have the same rights as everyone else.” He now oversees two foundations – Salif Keita Mali and the Salif Keita Global Foundation, based in the US – to continue this campaign. As well as combating prejudice, it offers practical help for sufferers, distributing sun creams to lessen the risk of skin cancers, and spectacles. “We have to speak out. Keita has a busy schedule of interviews before he returns to Africa with his “wife”. I am about to ask when he nods to two black guitar cases propped against the wall. “My guitar is my wife. A good wife. If I leave her there she is still there and still the same when I come back to her. We will always be together … but now I’m going back to Africa for a rest.